Trends – Miss La Rosa ! 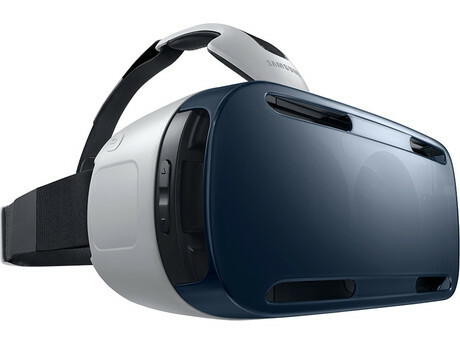 A glimpse at the future of virtual reality starts with the Gear VR glasses that Samsung created in collaboration with Oculus! Virtual Reality has never been like this. You can see pictures all around you, just like you are in this picture! But not only that, you can also watch trailers or other kind of videos. You are standing on ‘the same place’ and the video will start playing around you. It feels like you can almost touch things around you, that are not even really there. Nice examples of these are the one from Jurassic World. The movie about the dinosaur island. When you put on the Samsung Gear VR while watching this video you’ll be amazed of how realistic people can make a video look. 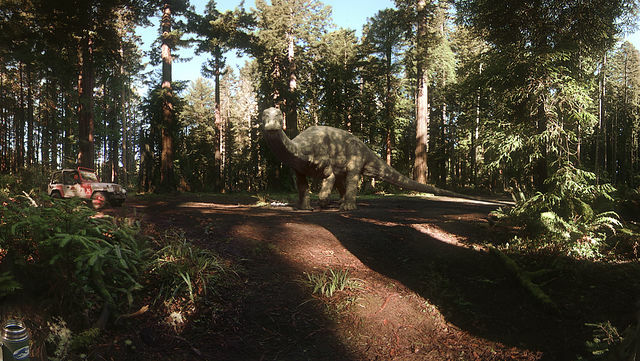 The is a dinosaur that is sleeping on the ground. You’re standing next to it. At some point in time he wakes up and slowly starts walking to you! You can hear the sound of this big feed. (I’m not joking when I say I was kind of scared while watching this). He streches his long neck out of you. His face is now so close that you can hear him breath very loudly and heavily. His big eyes glistening in the light of the moon. You look around you, but there is no one else in the dark woods. He moves his tail and he is almost slapping you. You move your hand to put off the glasses and you’re sitting in your room. And then you think: This is overwhelming shizzle! Same with a rollercoaster, nature vids, trailers and a lot more 360 videos like this one. 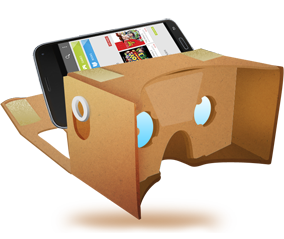 If you want to try it but not buy a Gear VR yet, you can also try the Google Cardboard. There are also lots of 360 videos in YouTube. If you guys want a little impression of what it looks like, just look at the video below. It’s about Ponkers (A dutch youtubechannel) who are testing the new rollercoaster in the Efeling (Dutch themepark). TIP: You can look around you by dragging with your mous or to move your phone when you’re watching on your phone.